A bazaar is a dynamic living entity that is continually nurturing and baring a city’s character. Through the bazaar we can hear a metropolis’s political stories, economic opinions and cultural beliefs. At our first See You at the Bazaar event we explored the relationships between architecture, culture and people at Tehran’s Grand Bazaar. We’re thrilled to be continuing our bazaar series with a second tour on Tehran’s northern Shemiran neighborhoods with a focus on Tajrish Bazaar on Thursday, February 15th from 13:00-18:00! 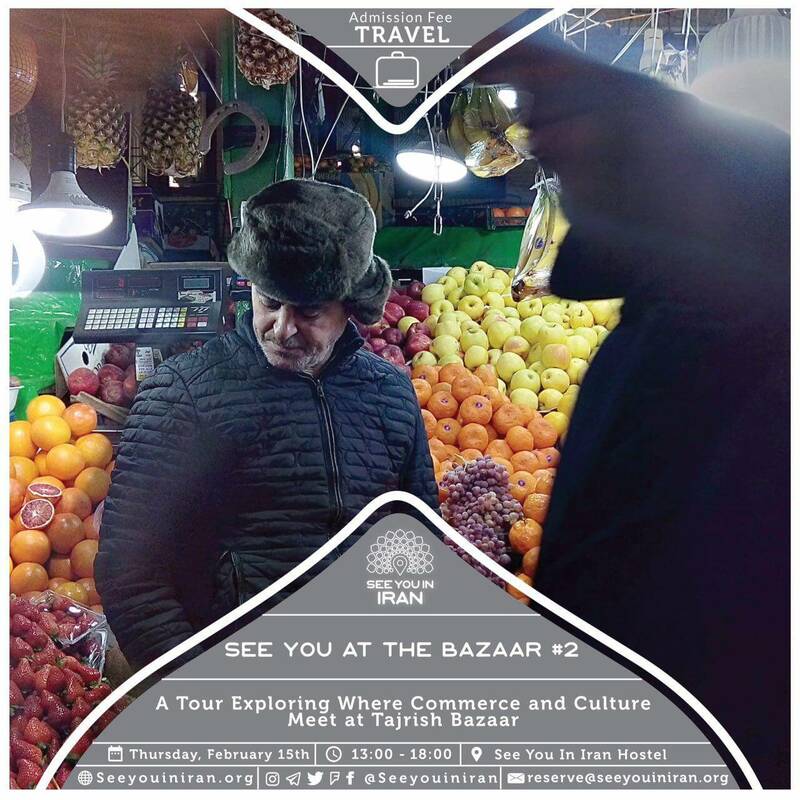 For See You at the Bazaar #2 participants will explore the stories around Tajrish Bazaar, Imamzadeh Salih Shrine, Bagh-Ferdows and the Cinema Museum. Join us for the narratives between architecture, culture and people in Shemiran and at Tajrish Bazaar!